We bought ours yesterday. It’s a tradition: Ellie and I buy it. We look at the trees quickly, then impulsively choose one. 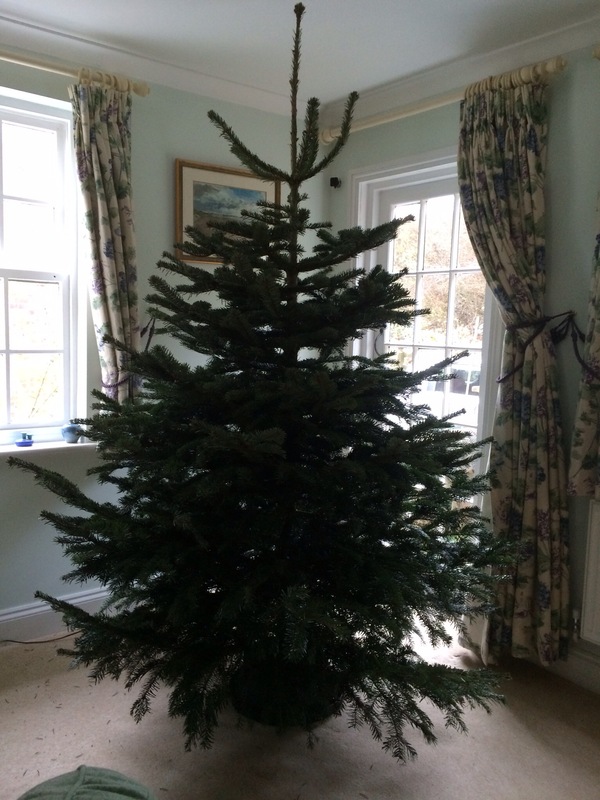 So far, we’ve not been wrong: it’s just the right height, perfectly formed, thick and bushy. It has to be bought from the same place: a garden centre in the village where Ellie was born. We used to walk up to the centre, then I’d walk back with the tree on my shoulder; now it’s a short car drive away, the tree jammed against the roof of the car. I measure the approximate height of the room when we buy the tree, just as precaution: my height plus the length of my arm. 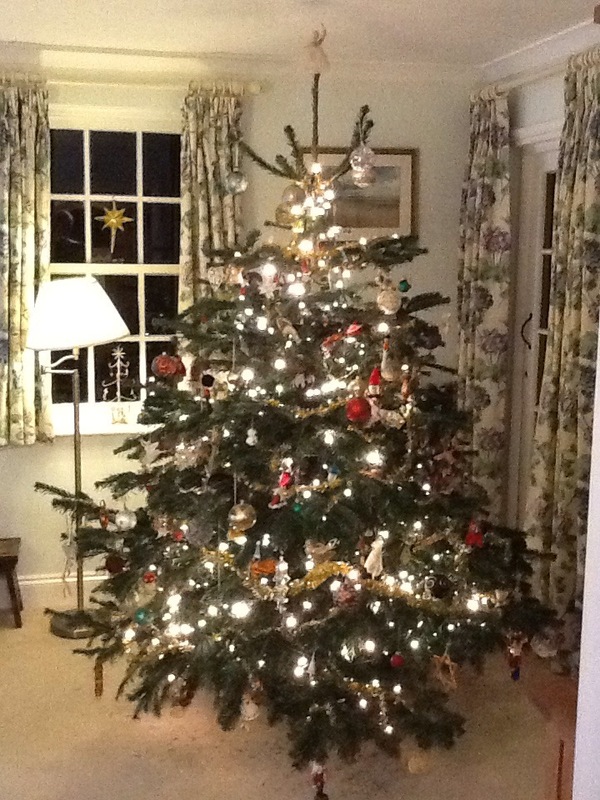 This year the tree is a perfect height: I won’t need to saw any of the trunk away, nor lop its proud top. 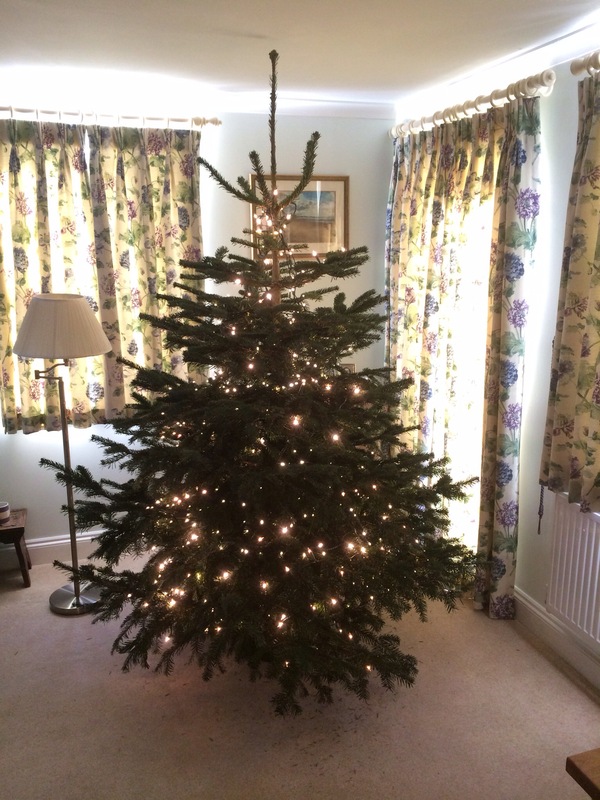 So far, all we have done is to position it in the corner of the living room and wrap it in its garlands of lights. This is a job for me and me alone. Other fathers may attest to the need for solitude (and a soundproof door) whilst undertaking the task of unravelling endless ropes of lights; discovering that some don’t work; seeking out the bulbs that are causing the malfunction; foraging for the appropriate replacements; fiddling around to remove and replace aforesaid bulbs; gathering up each string of lights; walking them around the tree; placing them in the right position so as to cast the precise amount of light on the surrounding decorations; and readjusting them because the rest of the family have noticed that there are gaps in the coverage. 10:30am We’re all still in bed (it being the first Saturday of the holidays) but shortly the family will be downstairs, the Christmas carols will be playing softly, the mince pies will be warming in the Aga and we will begin the lengthy ritual of decoration. 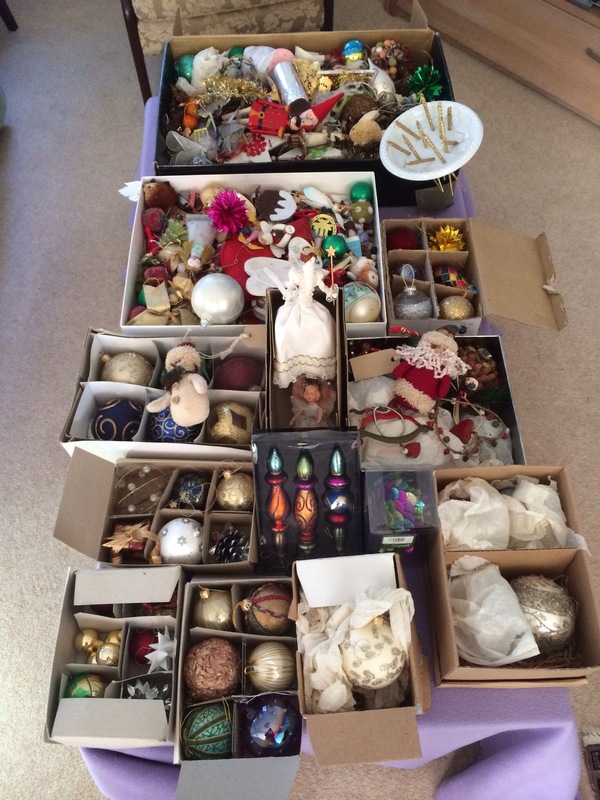 12:30pm Now I have laid out the decorations and am planning my escape to Waitrose while the children (they’ll always be children to me) prepare to find places for the many hundreds of baubles and the metres of tatty tinsel that we have acquired over the years. Pippa has inherited family decorations that date from the 1950s, and since then we have been making or buying decorations each year. 5:30pm Now the tree is fully lit and decorated. Ellie has performed the final ritual: placing the fairy on the top. The first time she did this, she was a little over a year old; gradually, my role has changed from holding her in my arms to securing the chair as she reaches out with her nineteen year-old arm. Time passes; traditions linger.